I would like to bring your attention to the following information from my husband. My husband, James H. Norwood, has been checking his family genealogy. 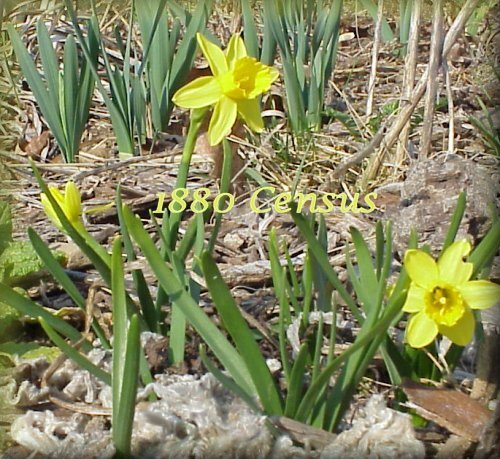 In the transcribed 1880 Jackson Township Census, pages 17-18, in Tri-Counties Genealogy & History shows a Leon D. son of George Norwood and Sarah. This should read Fred E. not Leon D. as transcribed. Jim has information from the Norwood Family Bible dated 1871. Fred E. Norwood was Jim's father. From the original census from Ancestry.com, page 17, District 156, the first letter of the name looks like an "L", when in fact it is an "F", so we can see how it was misread. We also can understand that these original documents were very difficult to read. The work you have done on this site is tremendous, and we have both benefited from what you have done, since we both have ancestors from this area.